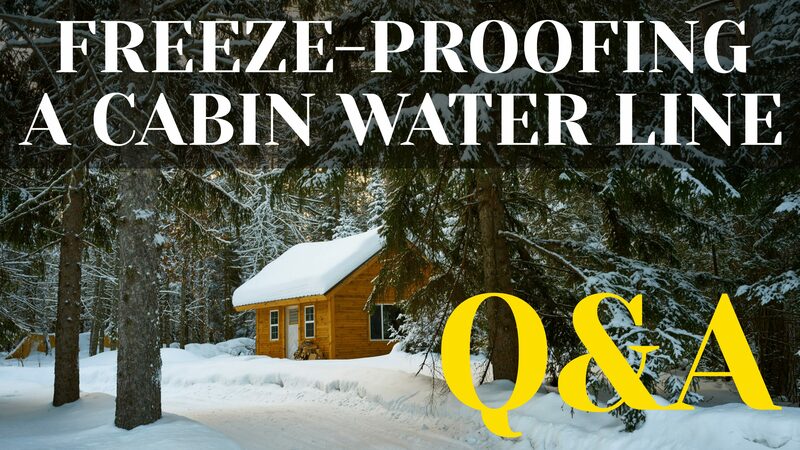 Q: What’s the best way to freeze-proof a water line from a spring to a vacation cabin we visit year-round? There’s not enough soil to bury the pipe below frost and we don’t want to invest in anything fancy or expensive for keeping running water flowing. I’d just like to be able to have some running water all through the winter. A: I’ve used a simple and economical approach with great results. Start by feeding the water line inside a 4” ABS drain pipe that runs from your cabin to the water source. Every hardware store sells ABS pipe. It’s tough, economical and is easily sawn and joined. This black pipe protects the smaller water pipe inside it, and the air around the water pipe offers some insulation value. You’ll also want to make sure you use whatever soil you have to protect the pipe as it sits on bedrock. Next, pull an electric heating cable through the ABS pipe alongside the water pipe. You can use the kind of heating cable made especially for keeping water lines warm, or a rooftop heating cable meant to keep ice off of roofs. Roof cables aren’t meant for this kind of application, but I find they work really well and are quite a bit less expensive that any other type of electric heating cable. If you do use a rooftop cable it’s vital that you also use a system to thermostatically control the temperature of the cable. More on this in a minute. In the installations I’ve done I connected the ABS pipe to a toilet flange in the floor of the building, with the water pipe and heating cable coming up into the building through the flange. The heating cable keeps the water pipe from freezing, but it doesn’t need to operate all the time. In fact, because of the insulation offered by the air around the water pipe, the heating cable only needs to operate for short periods of time. The warmer it is outdoors, the less heat the cable needs to deliver. I’ve had perfect results controlling water line heating cable operation with a $60 device I bought called an Inkbird. It includes a probe that monitors the temperature inside the ABS pipe. Adjust it to switch the heating cable ON as temperatures drop to a few degrees above freezing, then OFF 3ºC to 5ºC above that. You’ll hardly use any electricity keeping things frost free. 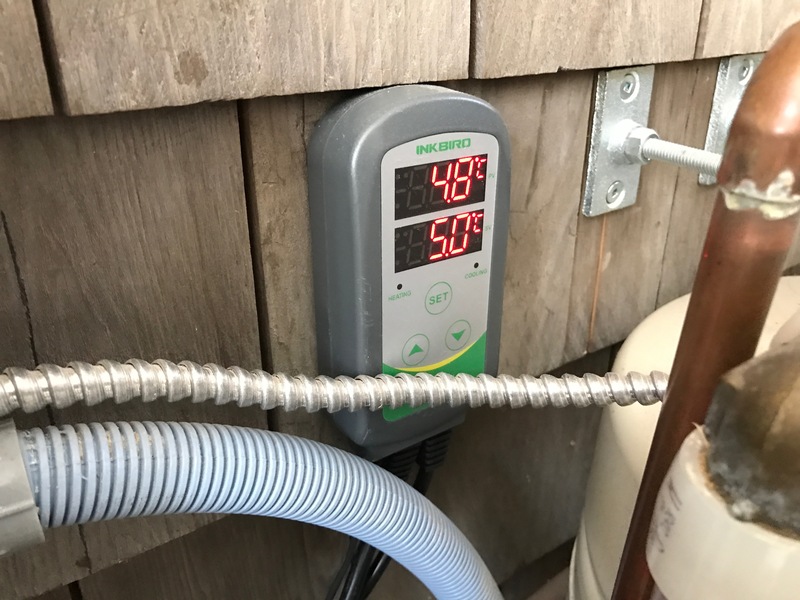 You can make the system even more economical by adding foam pipe insulation on the outside of the ABS, but I find this more trouble than it’s worth in cottage country. Animals of all kinds like to chew the insulation. One more tip and it’s a big one: Use PEX pipe for your water line. PEX is a type of plastic water pipe and one of the few options that won’t crack if something goes wrong and the water it carries freezes. Click here for a video tour of one of the freeze-proof systems I installed. It’s been working perfectly for a number of years now.